VOVNews photographers took shots of the famous Chinese actress Zhou Xun in Hanoi on July 28 as she posed for photos near the Metropole Hanoi and Hanoi Opera House. The actress suddenly appeared in Hanoi on July 26 and then went on a tour of the Old Quarter and some areas around the city. The actress stayed in Hanoi from July 26-28 under a contract for some commercial shots at Hanoi and Long Bien railway stations, the Metropole Hotel and Hanoi Opera House. A team of more than 100 staff hired two carriages on the Victoria Express Train and prepared all the facilities for the actress to take the photos. 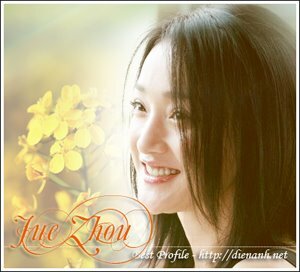 Zhou Xun is a talented Chinese actress and has won high awards with such films as The Equation of Love and Death, Painted Skin and All About Women. Costumed design of spy movie "The Message"